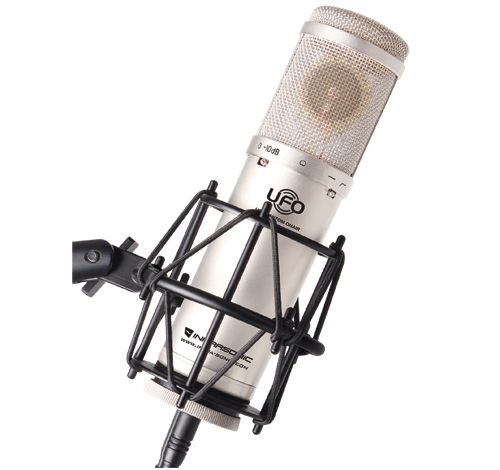 The UFO# is a condenser Microphone including built-in Phantom power supply, USB powered pre-amp and USB audio interface in one-single device. 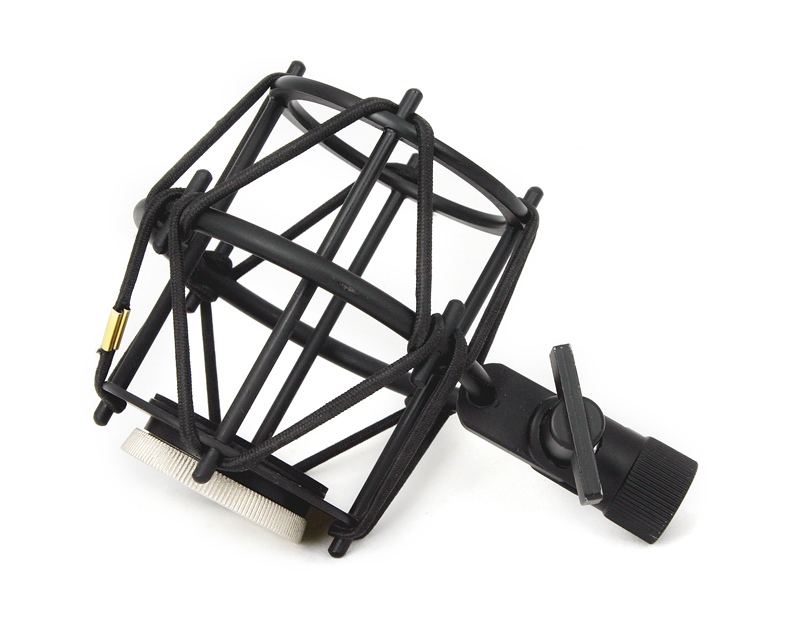 It provides professional studio sound quality with large sized diaphragm (1" Gold plated). 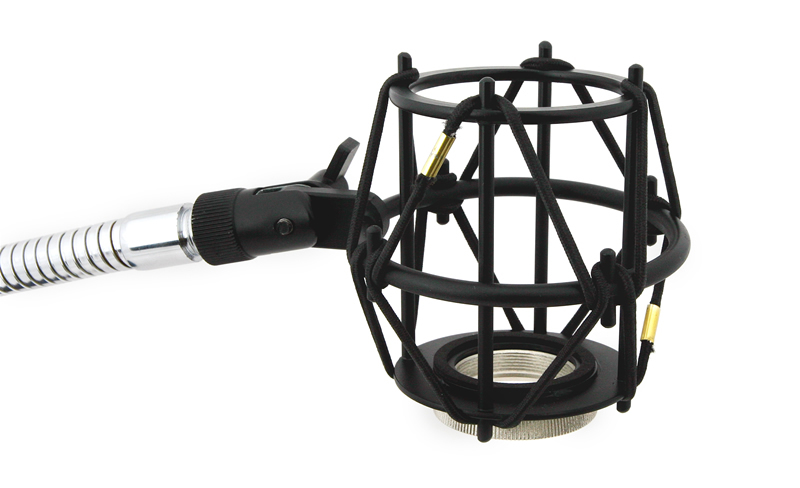 Even, adjustable PAD and Low frequency cut filter bring you more flexibilities. 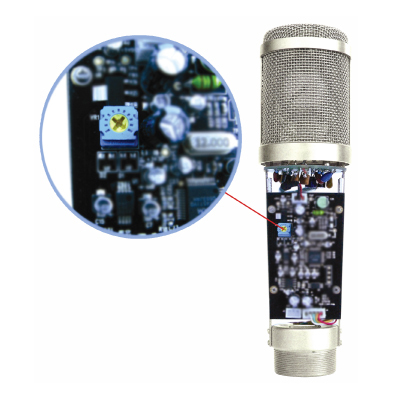 The world's lowest-latency allows full real-time monitoring at any application from Infrasonic custom driver technology(1ms). 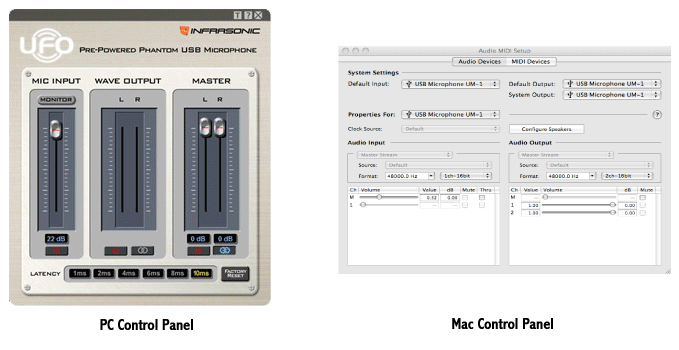 Now you can simply connectUFO# to your computer and just record your sound. UFO# is Ideal for followings. 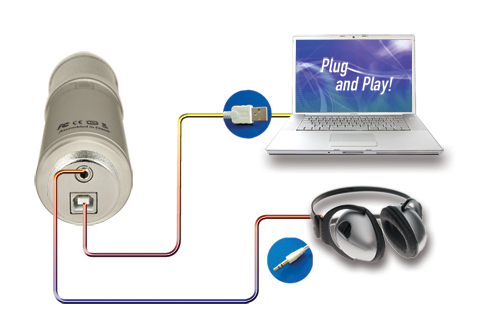 -Adjustable the input gain by -15dB. 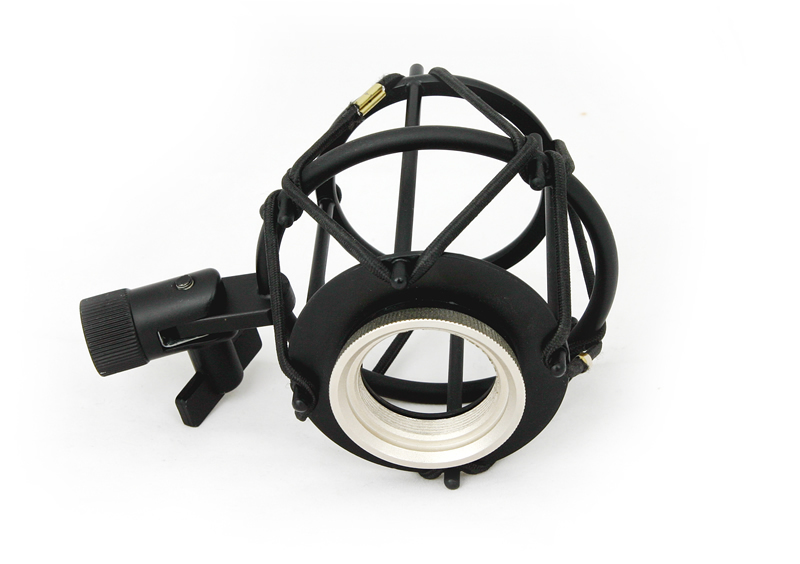 -Included in the package is a microphone mount, pouch, plastic case, USB cable and installation CD. 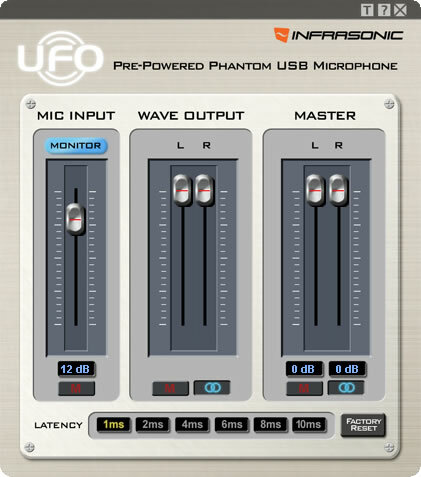 -UFO USB mic supports both Windows® and Macintosh operating systems. 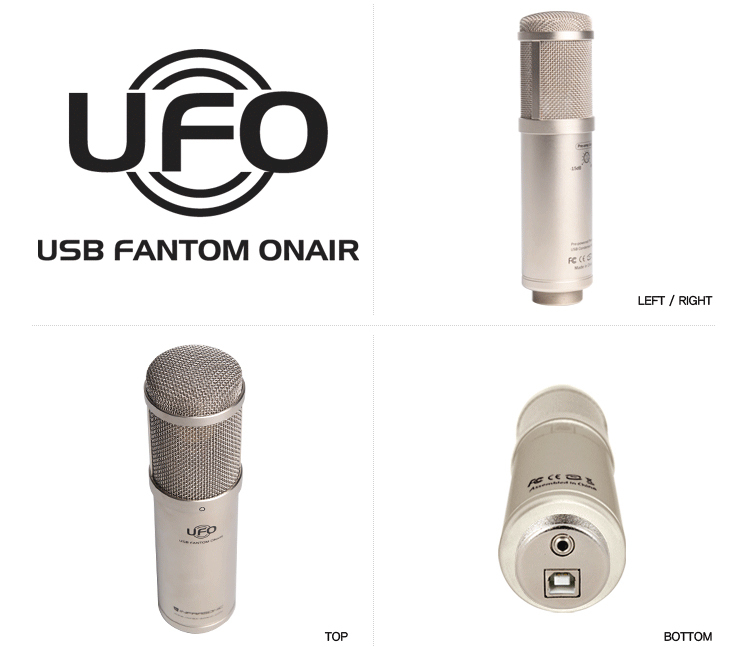 UFO# USB Microphonein shockmount (available separately). Click to enlarge. 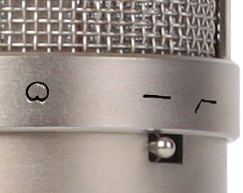 You can control the input sound (your voice) level with Pre-amp gain controller if it is too loud and clipped. Please open the cover of UFO# then tweaking the knob as you want to set. 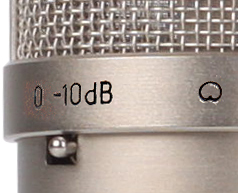 The factory default is set at 0 dB.